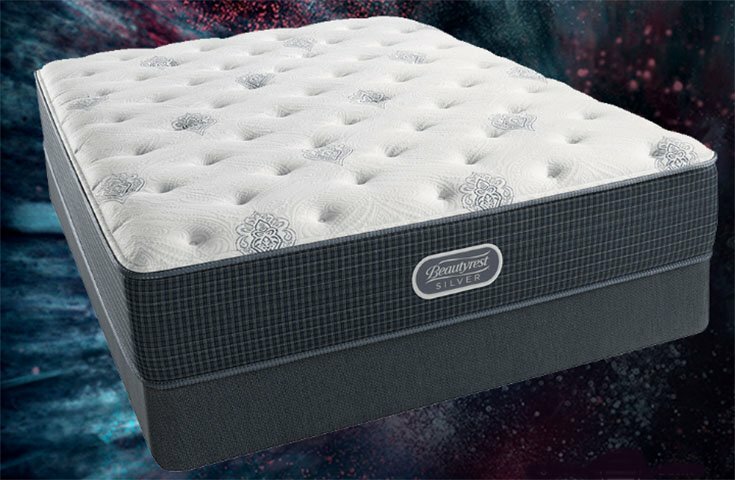 The Tidewater Plush is a hybrid mattress model from the Simmons Beautyrest Silver collection, which is the most affordable line of Simmons mattresses. This is a plush mattress, making it a good pick for people who sleep on their side. Also, the Dualcool™ Technology Fiber, Aircool® Foam, Aircool® Gel Memory Foam, and Geltouch® Foam can help stop you from overheating at night. This is also a hybrid model, so you should also get a good level of support from the coils. It should offer a balance of comfort and support. Simmons states that this is a plush model. Plush mattresses are usually a good pick for people who sleep on their side, because they provide pressure relief on the shoulders, hips, and knees. The Tidewater Plush mattress may suit people who tend to overheat at night. It contains Aircool® Gel Memory Foam, Geltouch® Foam, Dualcool™ Technology Fiber, and Aircool® Foam to help with temperature regulation. This plush mattress may suit people who sleep on their side, as it will help cushion your joints rather than contributing to aches and pains. This mattress could give good pressure relief on shoulders and hips. The Tidewater Plush might suit those seeking a plush mattress without a pillow-top. The Tidewater Plush is likely not the best selection for stomach and back sleepers, as people who sleep on their back or stomach typically need a firmer mattress to ensure their hips don’t sink in too far and take the spine out of alignment. While this is a hybrid mattress, it may not have the “enveloping” feeling of a memory foam mattress. People looking for a memory foam experience should look for a pure memory foam mattress. This mattress is only 11.5” high, making it a thinner model than other Beautyrest Silver mattresses. Some people may prefer a taller mattress for comfort reasons. Also, heavier people run the risk of “bottoming out” on a thin mattress. According to the Simmons website, this is a plush model. 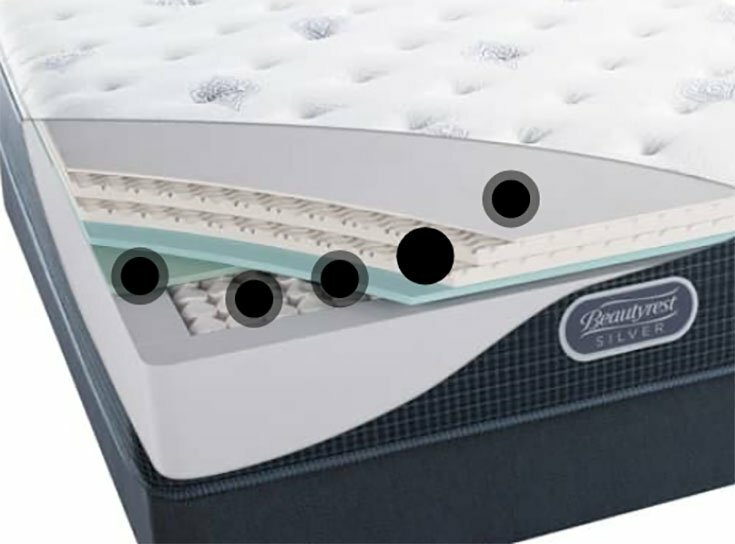 This means it is probably much softer than other mattresses in the Beautyrest Silver collection. The Tidewater Plush contains Dualcool™ Technology Fiber, Aircool® Foam, Geltouch® Foam, and Aircool® Gel Memory Foam for plenty of temperature regulation. This hybrid mattress is 11.5” high and contains Dualcool™ Technology Fiber, Aircool® Foam, Geltouch® Foam, Aircool® Gel Memory Foam, and 815 Density Firm Beautyrest® Pocketed Coil® Technology. The Tidewater Plush is a plush mattress that is probably a good pick for side sleepers. Stomach and some back sleepers may want to consider a firmer mattress to get the proper support.